This looks like it could be an interesting talk: London Transport Museum's Senior Curator Claire Dobbin is giving a talk, 100 Years of Iconic Posters, at Covent Garden's new Apple Store, on Wednesday 27 October. "The illustrated talk will show highlights from a century of outstanding design, which transformed the Tube into London's longest art gallery. Featured artists include Man Ray, Graham Sutherland, Howard Hodgkin and Sir Peter Blake." 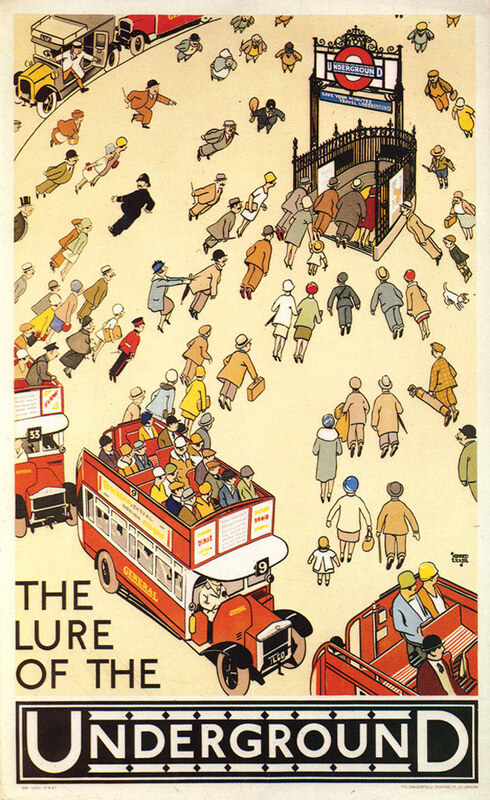 The poster above is The Lure of the Underground by Alfred Leete, from 1927.